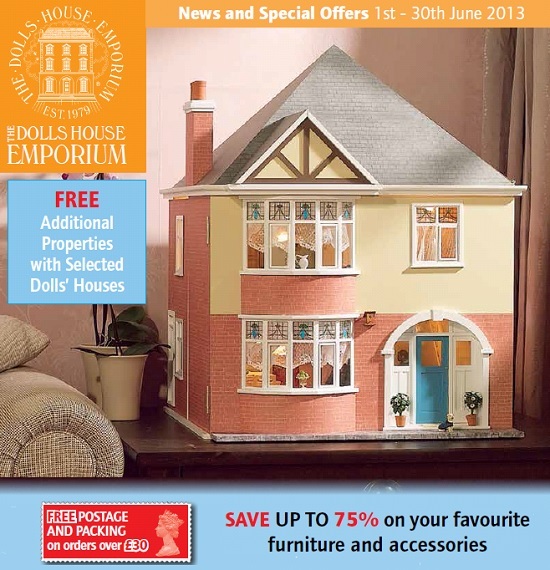 The Dolls House Emporium’s new-style collectors’ handbook - out now! 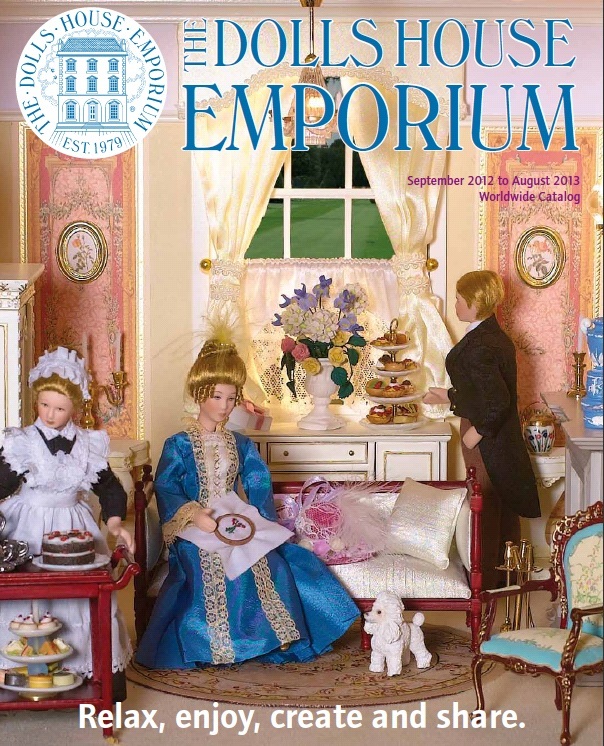 Make ready to browse The Dolls House Emporium’s new-style collectors’ handbook, showcasing the very best of its 2013-14 miniatures collection! You’ll get first sight of more than 120 new products and marvel at 17 brand new room displays full of innovation and creativity on full colour glossy pages to inspire what’s next for your own mini project. Hundreds of their favourite items of furniture and accessories are reduced in price on a permanent basis as we recognise the value of our regular miniatures shoppers. 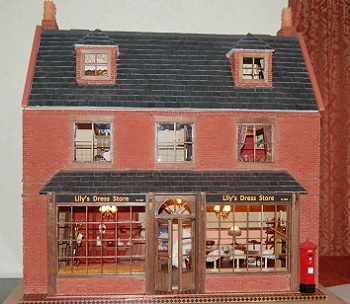 The new format highlights the best and most popular items from the 2,000-strong list of stock lines available by telephone, mail order or online at www.dollshouse.co.uk or by telephone and mail order. The cost of buying your new handbook will be fully reimbursed with your next order over £55 (or equivalent if you're one of our overseas customers) – making the 132-page souvenir totally free! It’s also available to download in its entirety free of charge from www.dollshouse.co.uk, where you can find even more products as we add to them during the year. Sign up for email alerts too, to be instantly kept in the loop with developments. Or visit our shop, open seven-days-a-week, just off the A610 in Derbyshire, to see and touch the wonderful items yourself. It's the first of June so time to see what could be in your shopping basket this summer! There's a free conservatory, garden, gazebo or additional property when you buy a collectors' house this month, depending which house you buy. You can SAVE up to 80% on your favourite furniture and accessories. And there's FREE post and packing on orders over £30. What's not to like? Head over to dollshouse.co.uk and don't forget to log in to see more offers just for you! Forward-thinking and forward planning at Dolls' House HQ! Here at Dolls House HQ we’re already well into production of the Autumn 2013 catalogue. Would you believe that we’re working on it already?! There’s already a lot of set-building, photography and design work going on… plus a few new ideas you’re sure to like the look of! It’s the first time many of the staff here will have seen the new products we’ve got lined up – and we’ve been decorating sets and adjusting the lighting to show them off to their very best effect. Keep your eyes on this blog for some behind-the-scenes pictures of what we've been up to! Once all the photographs are done there’s a lot of editing to and then the graphics team can start the long process of collating all the pages and working with the number-crunchers and web team to marry everything up to create our new catalogue. If you don’t have the September 2012 catalogue (or you’ve misplaced it) do give us a call on 084 54 34 74 47 so we can pop one in the post to you. Hundreds of new miniature products... are YOU missing out? It's time to be browsing our brand new 2012-13 catalogue... are you missing out? The new catalogue is packed with colourful images of more than 30 dolls’ houses and thousands of miniature items of furniture and accessories. It could be just the jump-start that your hobby needs! 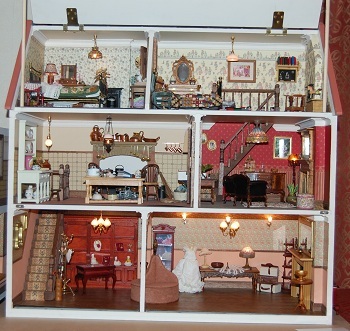 There are more than 200 fantastic NEW products you won't have seen before, as well as information and advice on enjoying your dolls' house and miniatures hobby. You’ll also find full details of the fabulous NEW Queen’s Dolls’ House Collection, manufactured under licence from St James’s Palace. 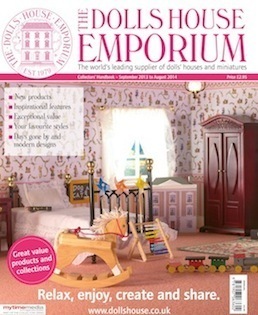 If you would like us to deliver a NEW 2012-13 Dolls House Emporium catalogue to you, please request one at dollshouse.co.uk/request - and we'll do the rest! Or call 0845 434 7447 and we’ll pop one in the post! Magpies dolls' house old and new! 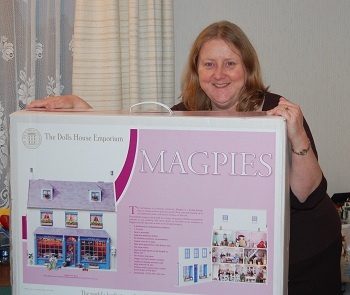 Dolls House Emporium customer Valerie Harwood has transformed her Magpies house over the years. But the unusual thing about it is that she’s turned her original-style Magpies into a new-style one just like in the new mail order catalogue! Her own photos are shown below but she says: “I received your catalogue today and I wanted to send you some pictures of my Magpies which I bought about three-and-a-half years ago (old style) and over the three years have transformed it to the new style. “I was quite amused to see ‘my’ Magpies in the magazine! “I always love looking at the catalogue and monthly offer sheet to see if I need anything for my houses,” says Valerie, from Hampshire.